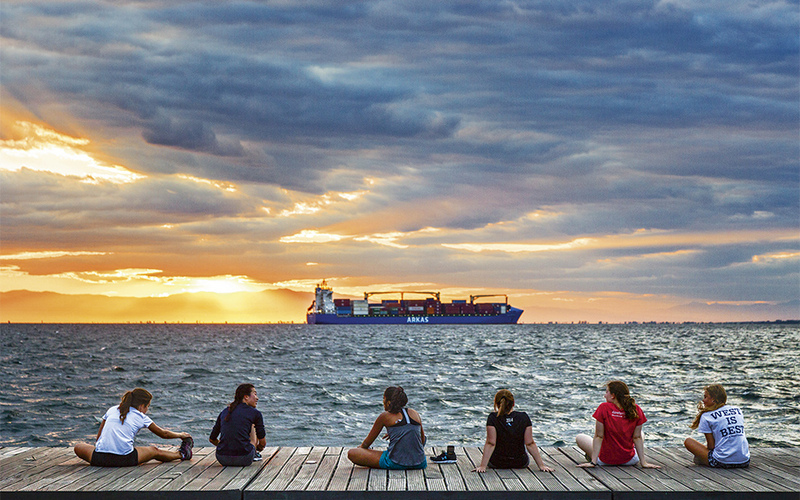 Every sunset at the port is an opportunity for residents and visitors to pause for a moment. Emerging from the recent crisis, Thessaloniki has discovered a new vitality that is making it one of the most exciting destinations in Europe today. Travelers tend to regard Thessaloniki as a charming and laidback city with a vibrant nightlife, great food, a youthful profile and a refreshing sea breeze. And yet, there is more that makes Greece’s second biggest city so cool: its landmarks, including magnificent buildings like the Rotunda and the White Tower, its port – among the biggest in southeastern Europe and an absolute sight at sunset – and the seafront promenade, providing an instant power boost to residents and visitors alike. Getting into the groove at the annual Street Art Festival. It is also a city that tries extra hard to entice its residents to get out of the house. 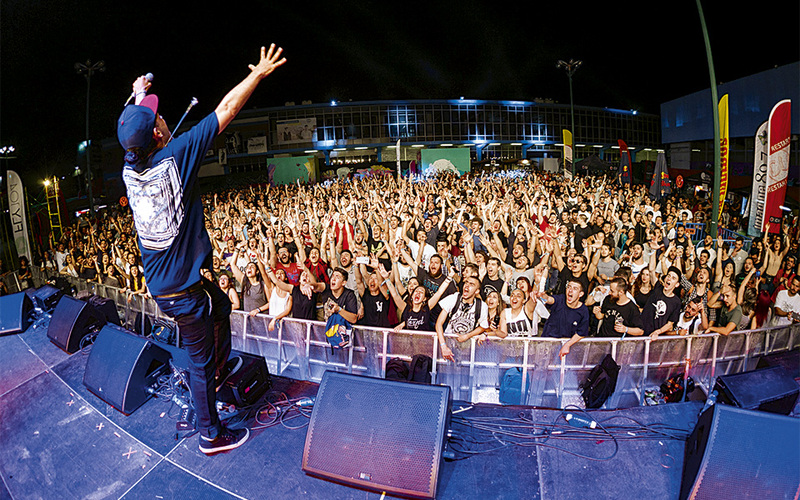 Not a weekend goes by without a packed cultural agenda of art exhibitions, events or festivals. During our visit, for example, hotels were at 95 percent capacity, and that was well before the Thessaloniki International Film Festival, one of southeastern Europe’s biggest cinema events, and before the 6th Biennale of Contemporary Art, two events that bring in thousands of visitors. On Aristotelous Square, an impressive reenactment in miniature of the 1917 fire that razed the downtown area, drew a crowd of 35,000 people in just two hours. And what’s coming up? The biggest piano festival in Greece; a festival of short films by young directors; a staging of “Swan Lake” by a leading Chinese ballet company; the Thessaloniki Animation Festival; tours of historic buildings under the city’s Open House initiative; an international architecture convention; and Philoxenia, the country’s biggest tourism expo. And that’s just October and November. A tourism satisfaction and hotel services survey conducted recently by the Thessaloniki Hotels Association found that what attracts visitors most are the city’s plethora of entertainment options, its lively cultural scene and the easy-going attitude of its people. What’s more, visitor satisfaction just keeps rising every year, as do overnight stays: these grew from 450,000 in 2011 to 1.15 million in 2016, and then exploded to 2.15 million this year so far, thanks largely to the Airbnb market boom and a number of new youth hostels, boutique hotels and B&Bs. This city has built a whole culture on coffee beans. Take it easy, smile, socialize! Another factor earning Thessaloniki additional points as a destination is an international trend towards cities that are smaller, more manageable than major urban centers, and that provide visitors with many options for authentic, “like-a-local” experiences. More flights and cheaper fares have also contributed: this summer saw a record high of 80 connections to international destinations (although this number drops by half in the winter season). Thessaloniki’s presence on the international tourism map was reinforced by the election of Mayor Yiannis Boutaris, a forward-thinking entrepreneur-turned-politician who designed a modern, cosmopolitan tourism strategy. Thessaloniki was included in the 100 Resilient Cities network, a Rockefeller Foundation initiative, and began sending representatives to international business, cultural and tourism conferences. Later, the city also developed specialized types of tourism, including gastro-tourism. This year’s two-day Beer Festival, showcasing the products of 120 new Greek microbreweries, drew 70,000 participants; 50,000-plus attended the Street Food Festival. MICE (Meetings, Incentives, Conferences and Exhibitions) tourism has also made significant inroads: among other events this year, Thessaloniki hosted the Input International Public Television Conference, while last year it held the World Chefs Congress & Expo and the World Universities Debating Championship. It also recently bagged the 2018 Balkans & Black Sea Cooperation Forum, and EuroPride 2020 – a groundbreaking development in light of Greece’s rather conservative social mores. 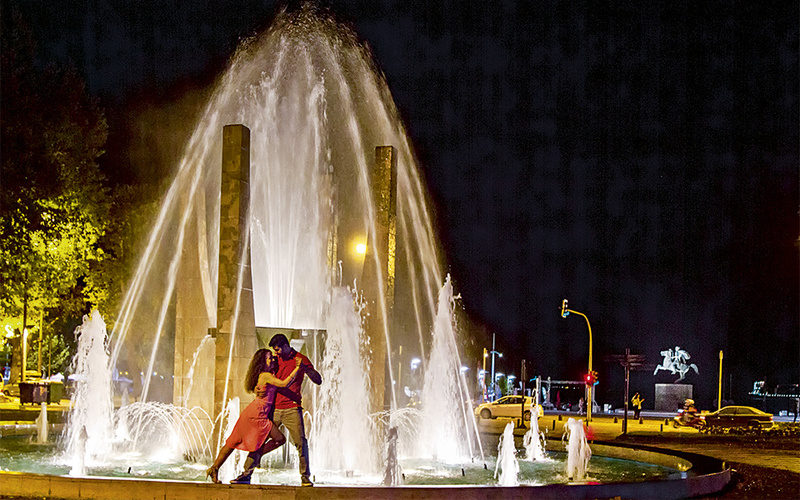 Thessaloniki owes much of its youthful energy to its 150,000-strong college student community. In June, the French magazine MasterChef praised Thessaloniki’s cuisine. Tributes to the city are currently in the works at Russian broadcaster My Planet as well as on the Travel Channel, while the French daily Le Figaro is also preparing a major feature on Thessaloniki. 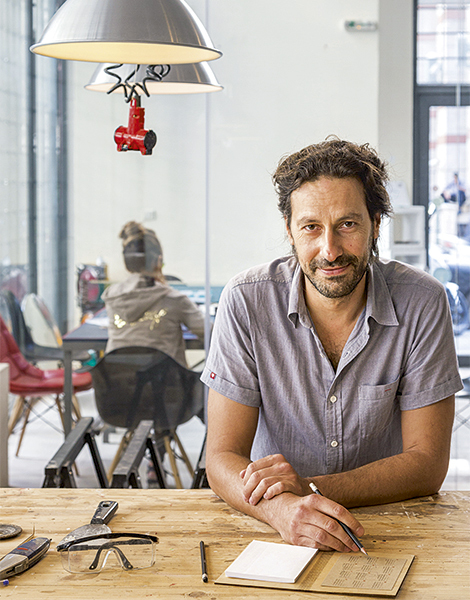 Dimosthenis Vavatsis founded Make, an object design lab. 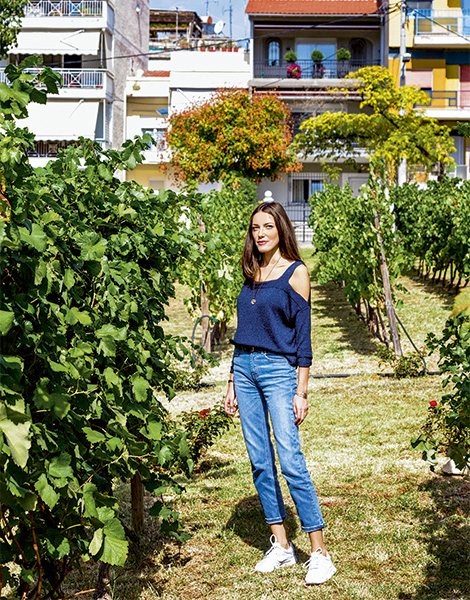 Eleftheria Gavriilidou, landscape architect of an innovative urban community garden. Yet another plus about this city is that its human dynamic – which includes some 150,000 students – has not given in to the crisis doldrums. Thessaloniki boasts dozens of creative entities, such as Elektronio (producing hand-made electric tricycles), the team behind the annual DEVit web development conference, and Make, an innovative design laboratory that takes on custom projects. “Beyond the PAOK-Aris soccer rivalry, beyond the spicy soutzouki meatballs and the nightlife, Thessaloniki is a city that has been creatively fighting the crisis for the last six or seven years,” says Make’s founder, economist Dimosthenis Vavatsis. The Kipos3 urban community gardens project is another example of innovation, created by landscape architect Eleftheria Gavriilidou and agronomist Maria Ritou (postgrads from Thessaloniki’s Aristotle University) on a 600-sq.m. plot donated by the municipality so that 30 families can grow their own organic fruit and vegetables. “It’s also a new type of park, a place to meet, to have a coffee, to chat with your neighbor. It is a space that redefines the values of city living. We saw it as an experiment,” says Gavriilidou. Food is another intrinsic part of what shapes Thessaloniki’s identity as a destination. “It is Greece’s second city but its gastronomic capital. Its bars and restaurants refuse to let tough times spoil a good night out,” wrote the UK-based newspaper Guardian in 2015. What’s more, the city is increasingly investing in this reputation for good food; an example of this is the Thessaloniki Food Festival, which includes discounted evenings at selected restaurants, promotional gift baskets filled with local products, and food-oriented events. Their website is worth checking out. It’s not all about food, though. 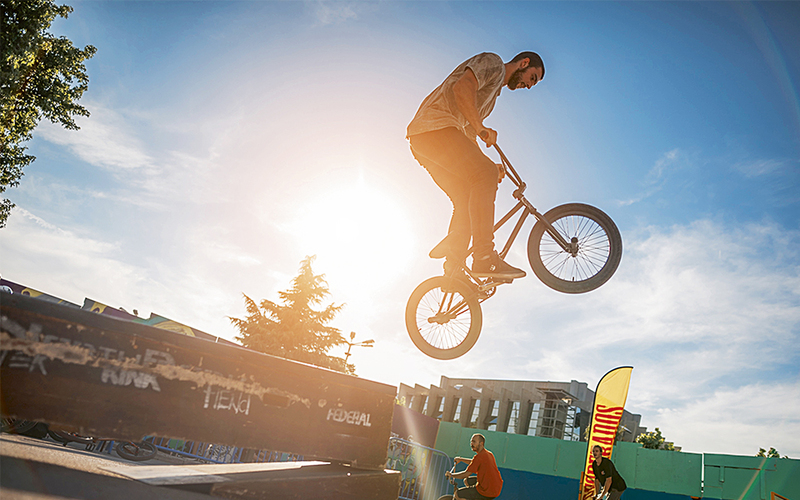 There’s always something going on outdoors as well, whether it’s a night-time marathon race, the Reworks Festival – a major music event – or the Taratsa (which means “rooftop”) International Film Festival. 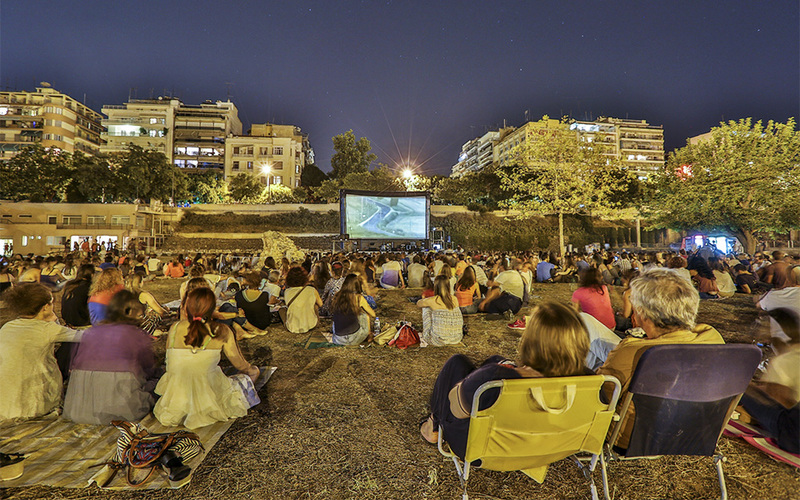 The PIC-NIC Urban Festival is another important event; for the past five years, attendees have brought their blankets and food baskets to the Roman Agora for film screenings and live music. Beyond all these events, however, Thessaloniki’s greatest attraction lies in things its residents often take for granted. Where else, for example, can you find an ancient agora just a few steps from an Ottoman mosque, or a Byzantine church alongside trendy shops and cafés? And in all this, there’s the city’s people, open-hearted folk with great energy that will make you want to come back.